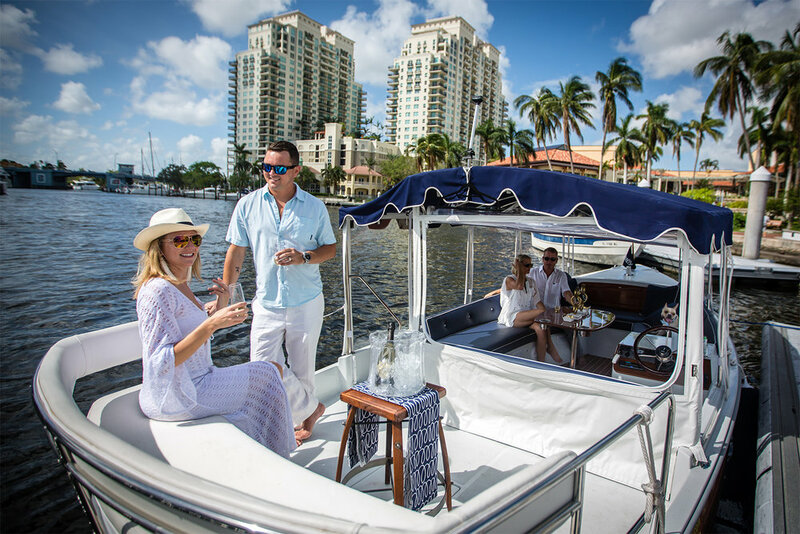 An eco & pet-friendly electric charter boat on Fort Lauderdale’s beautiful Intracoastal Waterway. If you haven’t seen Fort Lauderdale by “Tuck Tuck,” then you haven’t seen Fort Lauderdale! We are known as the “Venice of America” for our 300 miles of Intracoastal Waterways but unlike Venice, our canals are laced with mega mansions, the world’s largest super yachts, and scenic waterfront restaurants. Electric-powered & certified zero-emission watercraft. 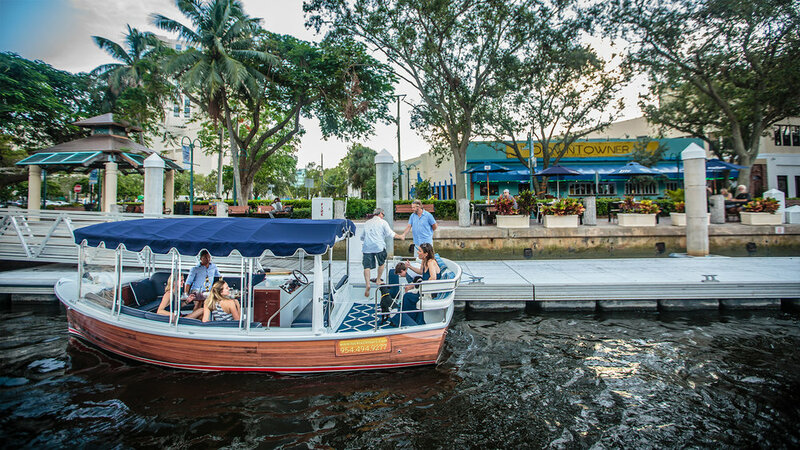 Enjoy a fabulous floating picnic, cocktail cruise or dockside dining at local waterfront restaurants. furry family members aboard Tuck Tuck Tours. From I95, take exit 29 (Sunrise Blvd) East to A1A. Turn right. Pass over Las Olas Blvd and we are immediately on the right.